Father, Founder, CEO, Digital Marketing Enthusiast, SEO, Developer, Speaker, Trainer, Lecturer, Author. I started working in online marketing in 2003 providing SEO consulting and link building services. Out of the need for reliable and accurate SEO software, I developed the first internal tools in 2006. This was the basis for the full product LinkResearchTools® (LRT) launched to the public in 2009 as SaaS product with four tools. Thanks to ongoing development, LinkResearchTools now provides 26 tools with ever growing power, and functionality adapted to market requirements and Google changes. When the famous Google Penguin update changed the rules of SEO in 2012, I launched Link Detox®, a software built for finding links that pose a risk in a website’s backlink profile. I have been talking and writing about link risk management since early 2011 and introduced the technology and formal process for ongoing link audits in 2012 as well as pro-active removal and “disavowing” of bad links. In 2015, I launched Impactana®, a “Content Marketing Intelligence” software that helps marketing professionals find content ideas and people that make an impact. I built an award-winning software that SEO all around the world rely on. LinkResearchTools WON the SEMY Award 2016 for best SEO Special Tool! 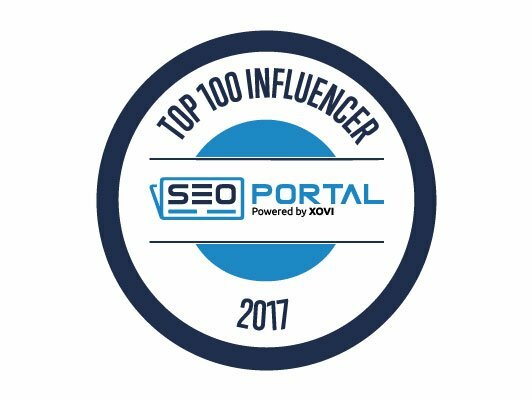 I was featured in the top 100 influencer list created by seo-portal.de multiple years in a row. I built Link Detox Genesis® - a unique data-driven and machine-learning algorithm that mimics how we believe Google looks for risky links. You will get access to closed LRT Forums where you can interact with other LRT Certified SEO professionals. I've known Christoph for 8 years and I've used a hand full of his services and tools. All are top notch and well thought out. His latest software Impactana is a life saver! Christoph is not only a well-known SEO industry guru, he is also one of the most driven and goal-focused business owners I know. I worked with Christoph on many complex projects and not only was he always extremely professional and organized, he always had a way of finding the easiest path to accomplish even very complex goals, while also creating a win-win scenario for all parties involved in the project. I’ll recommend working with Christoph on any project in a heartbeat. Christoph Cemper sure is one of the brightest minds in this industry. If you´re looking for great results on your online marketing campaign - Christoph is your man! I have worked in the past with Christoph in relation to SEO consulting projects. Christoph consistently delivers on his promises and will stand behind his work if needed. Apart from being a nice guy to hang out with, Christoph is definitely one of the best link builders I know. He attends all big conferences in the world to improve his skills. He's addicted to his work, but for that reason, he's always busy learning or thinking how to improve his services. If you want link building, he's definitely the guy to talk to. Christoph is a really hard working business man. He has substantiated knowledge about SEO and Link Building. Also I know him as very friendly and helpful.